"This Queen Anne-style house was moved to the site in 2003, replacing a mobile home on the site. The core of the house is three bays wide and double-pile with a steeply-pitched hipped roof and projecting gabled bays on the right (south) end of the façade and on the left (north) elevation. The house has a new brick foundation, plain weatherboards, and twenty-two-over-one Victorian-style wood-sash windows on the façade and left elevations. Paired windows on the right end of the façade project slightly within a hip-roofed bay with wood aprons below the windows and small brackets in the gables and at the roofline. The one-light-over-one- panel door has a three-light transom and is sheltered by a hip-roofed porch that extends across the left two bays of the façade and wraps around the left elevation with a projecting, hip-roofed section on the façade. The porch is supported by turned posts with sawn brackets and a turned railing. 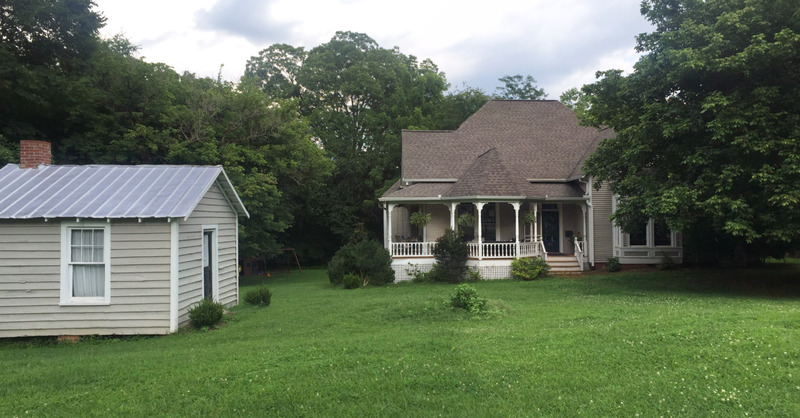 The house has been enlarged with a one- and-a-half-story, gabled wing at the left rear (northeast) and a similarly-scaled side-gabled wing at the right (south) elevation. A flat-roofed porch on the right elevation is enclosed with wood casement windows and has a fifteen-light French door with five-light transom on the façade and brackets along the roofline on the right elevation. Moved to this site in 2003, the c. 1898 Watson-Whisnant House was built in Burnsville, North Carolina by Colonel Frank Watson, a banker, lawyer, and benefactor of Mars College." "The Chase-Coletta House survives as the only private residence located on Burnsville's Town Square. In the late nineteenth and early twentieth centuries, Burnsville's residential development-a mixture of late Victorian and Craftsman styles-dispersed around the square. The oldest house in town is the ca. 1845 John Wesley McElroy House (NR, 1990), sited on a hillside one block west of the square. The Watson- Whisnant House (1898), the finest Victorian House in Burnsville, stood just east of the square and was built for E. F. and Cora Ray Watson, another of G. D. Ray's daughters. 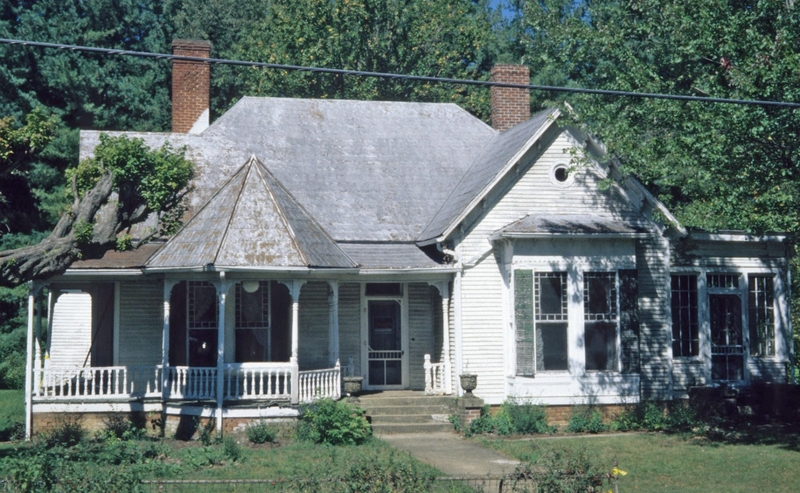 Unfortunately, the Watson-Whisnant House was dismantled and moved to Hillsborough, North Carolina, in November 2002. Two other houses built by children of G. D. and Elizabeth Ray still stand just off the square, but both of these properties have been altered substantially." That's a heckuva lot of asphalt shingle.